Usually when I write a supplement review, I assume that my readers know what a particular supplement is about; but for this one, I am going to discuss what fish oil supplements are about and what are the health benefits of using them. Moreover, there are a few health concerns that are also worth a mention, so we are going to look into them too. So let’s start with what fish oil supplements are about and if you are going to use them, how are they going help your mind and body. Why Do You Need to Take a Fish Oil Supplement? Well, for years, the benefits of fish oil supplements have been inculcated into our heads. I remember, the first time I thought of taking fish oil was to improve my hair health, because someone told me that it’s great for the hair. But if you look into the literature on fish oil, it has been associated with benefits like weight loss, anti-inflammatory, and hearth health. But what exactly is fish oil beneficial for? So basically, our brains are made up of fatty acids, mostly. The balance of fatty acids is very crucial for its proper functionality. But because most of us have messed up diets, the Omega-3 to Omega-6 fats ratio is totally disturbed in our body. If our body doesn’t have enough Omega-3 fats, it’s vulnerable to inflammation; the neuro-transmitters in the body won’t function effectively, and the cholesterol will sky rocket. So the main purpose why many people use fish oil is to have a healthy heart and to prevent artery disease. However, taking fish oil has another amazing benefit. According to a study, people who take fish oil, their neurotransmitters function better and thus they have better focus. And if you have been finding yourself depressed a lot, you really need to take fish oil then! EPA and DHA are the two Omega-3 fatty acids that you get from consuming fish oil. These are the two essential fatty acids that your body needs in a balanced ratio. Both EPA and DHA are MAO inhibitors, which means, they prevent the enzymes in the brain to destroy serotonin and dopamine (serotonin is a neurotransmitter that’s produces the feeling of pleasure and serotonin helps with regulation of mood, obsession, impulse, and memory). Try to keep the daily intake of fish oil around 2g and that includes the combined intake of EPA and DHA. When you are going to buy a fish oil supplement, you have to make sure it has a 5-star rating, so it’s free of toxic metals like mercury. And if you take vitamin D with fish oil, it could help with the latter’s absorption. 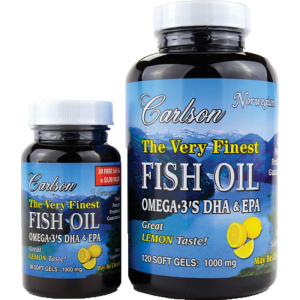 Carlson Labs offers a 5-star fish oil supplement. 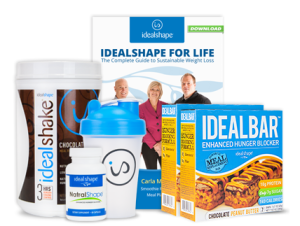 The company is quite renowned or its manufacturing standards and high-quality supplements. I won’t cover the entire nutrition label because the Carlson Labs fish oil has a good rating so we don’t need to be concerned about the saturated fats serving. What’s important is to look at the EPA and DHA serving. I haven’t mentioned it yet, but Carlson Labs fish oil supplement is liquid fish oil, so you are going to take it with a spoon. 1 teaspoonful or 5ml of Carlson Labs fish oil includes 800mg of EPA and 500mg of DHA. So that’s like 1.5g of Omega-3 fatty acids per serving. I don’t have my personal anecdotes to share with you, but according to ConsumerLab.com, which is a leading online platform providing independently-conducted tests, has rated Carlson Labs as the number one fish oil supplement. Note that these results were based on 10,000 consumer reviews. Fish oil capsules could taste really fishy, but the soft gel really helps with camouflaging the taste. This liquid fish oil available in lemon flavor, and according to the aforementioned customer reviews, it tastes quite good even in the liquid form. Then, others have reported that liquid fish oil also helps you determine if the oil has turned rancid or not. What’s The Downside of Liquid Fish Oil? The only downside is the storage issue, as you have to keep the liquid fish oil in the refrigerator. 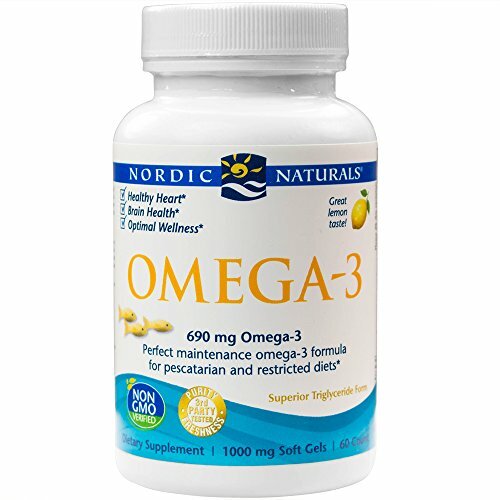 Now let’s get down to Nordic Natural Fish Oil Review, and let me tell you right away that if you are looking for high-quality fish oil capsules, Nordic has the reputation that you could trust with a blind eye. 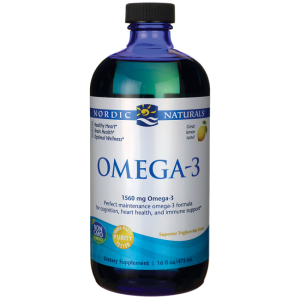 In fact, Nordic Natural Ultimate Omega Fish Oil is one of the best fish oil supplements available on the market right now. It also has a 5-star rating which makes it GMO-free, mercury-free, and soy-free. Coming down to the ingredients, again, I am only going to look at the EPA and DHA dose per serving. According to Nordic Fish Oil nutrition label, you are getting 650mg of EPA, 450mg of DHA, and 180mg of some other Omegas. So that’s around 1.28g of Omega-3s per capsules. The fish oil in this supplement is extracted from deep sea fish (sardines and anchovies), apparently. These fish oil capsules are also available in lemon flavor and according to the customer reviews, they taste really good. 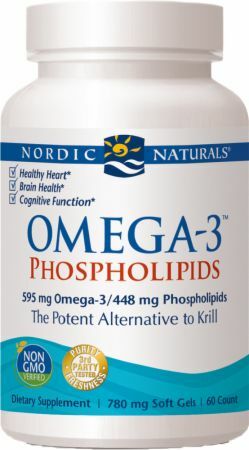 Nordic fish oil capsules have a high assimilation rate of 70 percent which is better than any other product available. 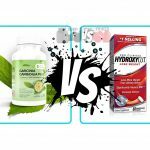 Carlson Labs Vs. Nordic Fish Oil Review—Which One to Go with? 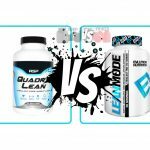 Both fish oil supplement brands are reliable and the best ones that you can get right now. You have the prices and other details with you, and I hope, you can make the now. Do let me know what you think about the review by leaving a feedback in the comments section. I am concerned that Nordic does not smell fishy, which leads me to think that they have processed everything organic out of it, and you are just getting the chemical EPA & DHA, whereas with Carlson you are getting the organic fish oil, which I prefer. Carlson makes gel capsules. Why does this review state they only have liquid fish oil?